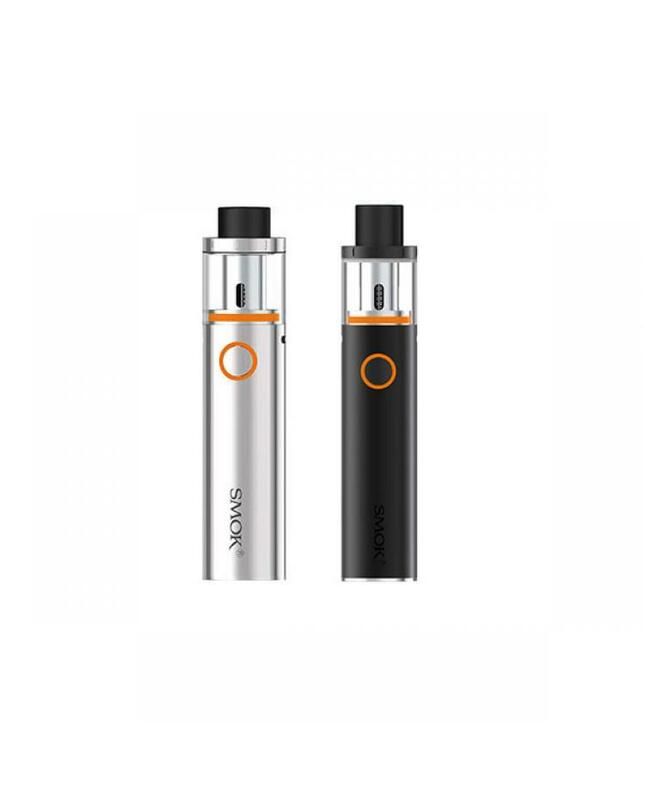 The smok vape pen 22 is another all in one style starter kit by smoktech company, with the simple design power on or power off the battery or enjoy vaping can be finished by holding the power button, the diameter is 22mm, built-in 1650mah battery, better hand feeling stainless steel and pyrex glass shell, all parts can be detached and reassembled, two airflow slots evenly spaced on the battery top part for airflow adjustable, the vape pen pre-installed 0.3ohm dual coil and comes with one extra 0.3ohm dual coil, which can produce huge cloud and better taster flavor. middle of the smoktech vape pen 22 has a micro USB port, vapers can charge the battery directly. 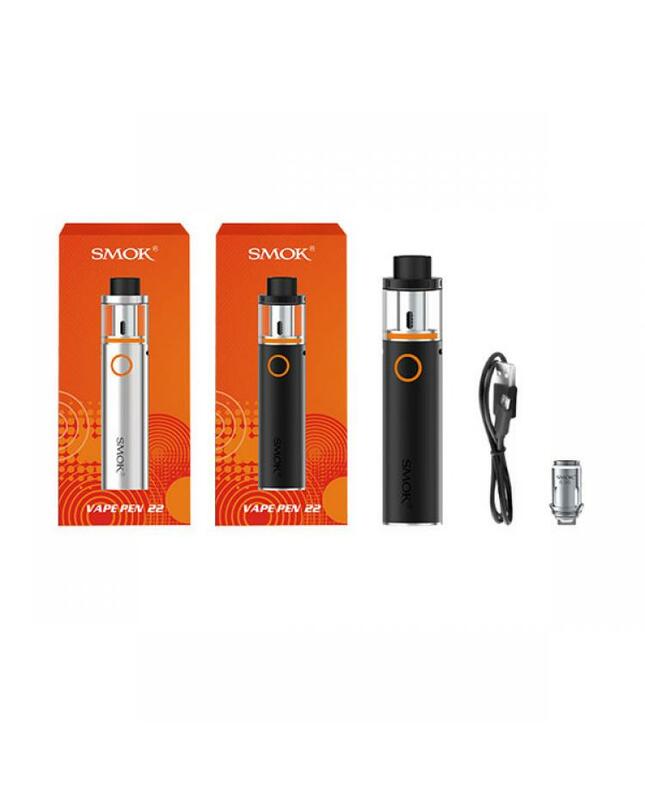 the new smok starter kit with multiple automatic protections, such as 8 seconds of protection, low resistance protection, short circuit protection, and low voltage protection etc to protect vape safe and reliable. the intelligent battery indicator will show clear prompts if blink 4 times each time you take a puff, it blinks fast with 15times, it indicates that the voltage is lower than DC3.3V, vapers need to charge it. like other smok vape gears, vape pen 22 with top refill design, vaper only remove the top cap and inject the e juice from the side, very easy and convenient.